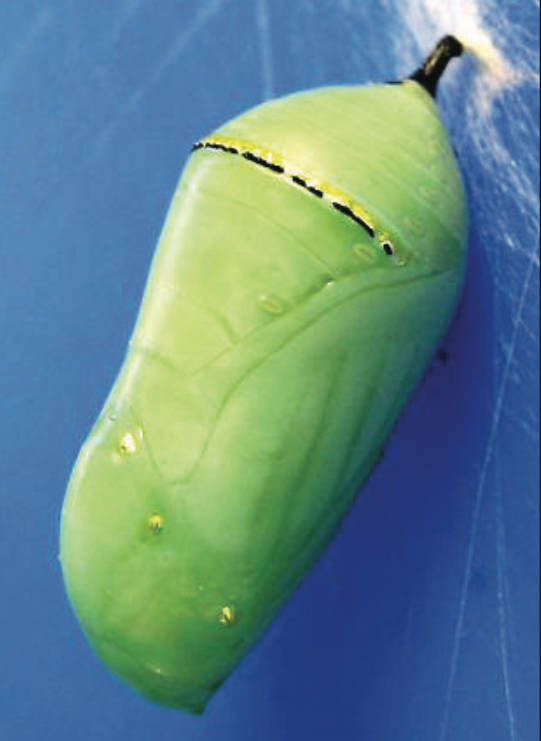 Throughout the monarch’s life cycle, the monarch may be confused with other, similar looking species. 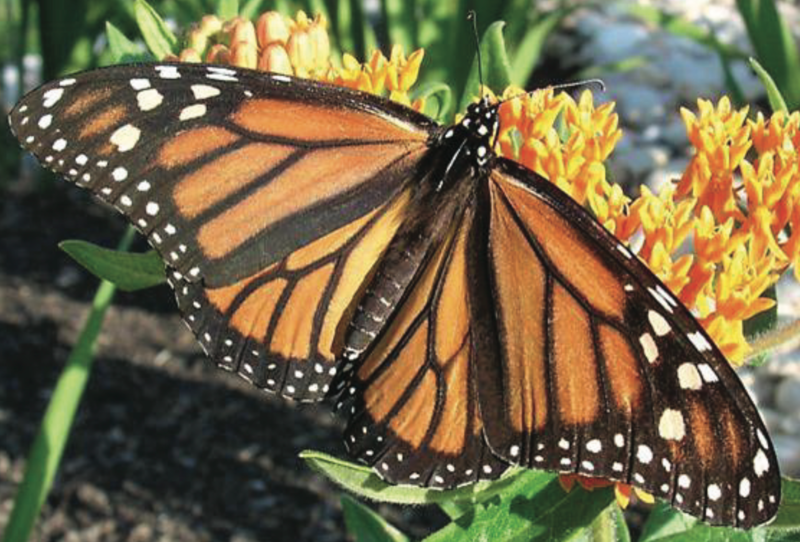 This guide can serve as a quick reference to distinguish between monarchs and monarch look-alikes. Monarch eggs (greatly enlarged in the picture) and pupae look very similar to those of queens. 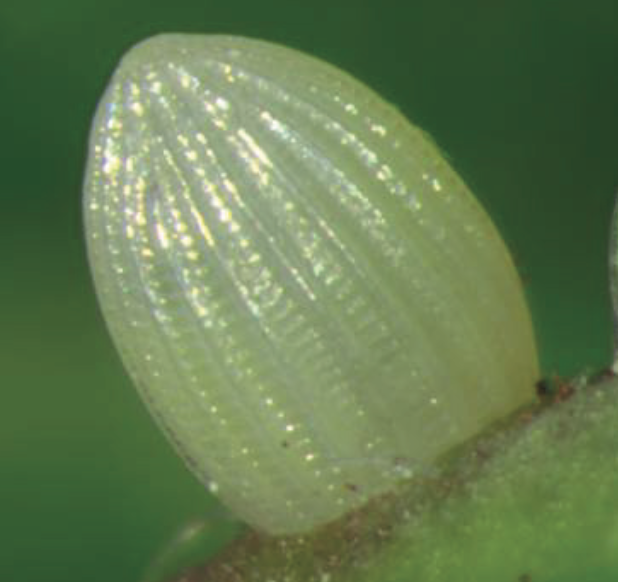 The easiest way to distinguish is to observe the adults depositing eggs and observe the caterpillar before it pupates. Adult queen butterflies and soldier butterflies lack a black outline on the inside of the fore-wing and have unique patterns of white spots. 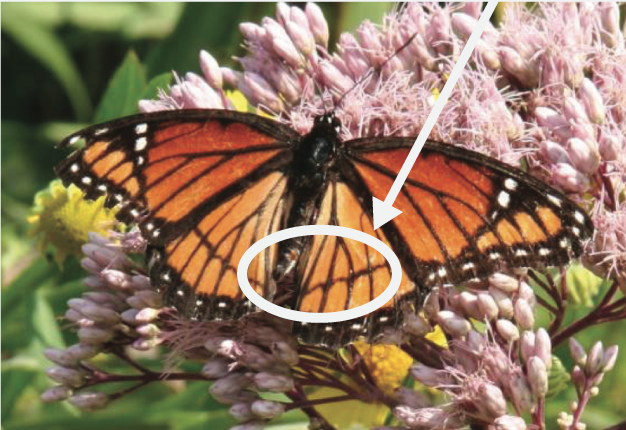 Adult viceroy butterflies have a solid black line on the hind-wings. 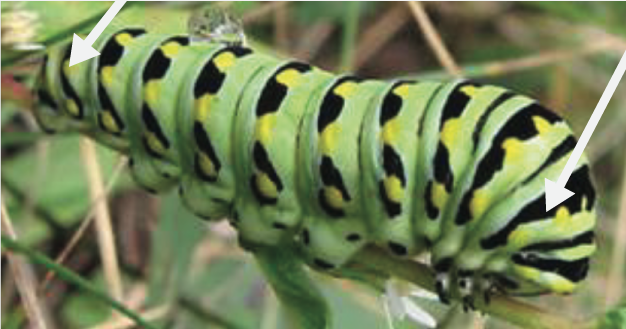 Eastern black swallowtail caterpillars lack the tentacles present on monarch and queen caterpillars. 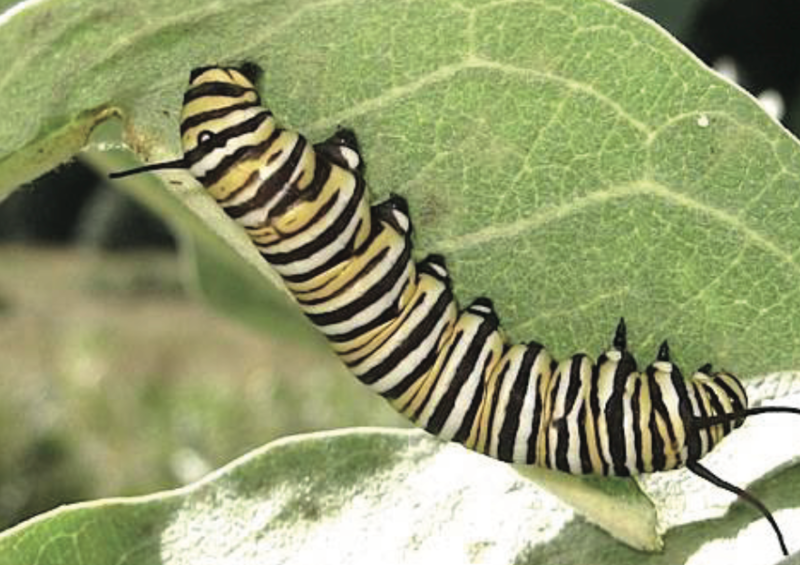 Queen caterpillars have three sets of tentacles versus two in monarch caterpillars.